ConferenceSeries Ltd invites you to attend the International Conference on Cardiovascular Medicine to be held at Manchester, UK during August 01-02, 2016 which is accredited by the CPD Standards Office adhere to learning best practice, and as a result attendees can be issued formal CPD points and hours from attending the accredited CPD events. .This International Cardiology Conferences will bring together world-class cardiovascular researchers, cardiologists, cardiovascular surgeons , professors and scientists to discuss strategies for Cardiology. Cardiovascular 2016 is designed to provide diverse and current education that will keep medical professionals abreast of the issues affecting the prevention, diagnosis and treatment of cardiovascular diseases. Undoubtedly the participant at this Cardiology congress will be able to exchange with the best experts in the specialty and will return home with extensive knowledge. Cardiovascular Medicine Conference 2016 aims to understand the vast range of technique underlying cardiovascular disease and to make use of this to focus on translational research (cover from molecular biology through to clinical application). The cardiovascular system is made up of the heart and the network of veins, arteries, and capillaries that carries blood throughout the body. The average adult male and adult female has between 5-6 litres and 4-5 litres of blood respectively. Blood transports essential nutrients and oxygen to all of the living cells in the body, and also carries waste and toxic products from the cells and tissues to the systems of the body through which they are removed out from the body. The specialty of Cardiovascular Medicine Conferences focuses on the treatment of diseases and new theories of diagnosis of the blood vessels and the vascular system or heart. These include congenital heart defects, heart rhythm disorders, coronary artery disease, heart failure, heart muscle disease, heart valve disease, and disorders of the vascular system including the aorta and other vessels. Cardiology is a medical branch that focuses on the human heart, which is susceptible to a range of disorders and diseases including congenital heart defects, coronary artery disease and heart failure. While most disorders involve complications with the heart itself, varicose veins for instance is a vascular disease. Early treatment and diagnosis is essential in treating the different cardiovascular diseases. Cardiology conferences mainly focus to up bring and support the recent research in the field of cardiovascular diseases on to a worldwide international platform for all the cardiovascular researchers, cardiologists, doctors and companies. 15th Cardiothoracic Meeting December 05-06, 2016 Philadelphia, USA; Echo Cardiography Conference July 18-20, 2016 Berlin, Germany; Ischemic Heart Diseases Conference October 20-21, 2016 Chicago, Illinois, USA, 8th Cardiologists Meeting July 18-20, 2016 Berlin, Germany; Atherosclerosis Conference July 11-12, 2016 Philadelphia, USA;14th Cardiology Meeting November 14-16, 2016 Orlando, Florida, USA, 9th Arrhythmia Meeting, July 14-15, 2016 Brisbane, Australia, Drug Discovery and Therapy Congress May 11-14, 2016, Boston, USA, Arrhythmias & the Heart: A Cardiovascular Update, February 12–16, 2016, Riyadh, Saudi Arabia; 16th Annual International Symposium on Congenital Heart Disease, February 13–16, 2016, St. Petersburg, USA; 65th Annual Scientific Session and Expo on Cardiology in American College April 02-04,2016 Chicago, USA; American Cardiology Congress 2016; ACC Annual Meeting 2016; American Cardiology Congress 2016; , European Cardiology Meeting August 27 - 31 2016, Rome – Italy. Cardiovascular Disease is a major cause of disability and premature death throughout the world. The underlying pathology is atherosclerosis, which develops over many years and is usually advanced by the time symptoms occur, generally in middle age. Acute coronary events (heart attack) and cerebrovascular events (strokes) frequently occur suddenly, and are often fatal before medical care can be given. Cardiology Conferences promotes awareness against Risk factor modification which reduces clinical events and premature death in people with established cardiovascular disease as well as in those who are at high cardiovascular risk due to one or more risk factors. Treatment for Cardiac or cardiovascular disease includes medication, surgery and other procedures. 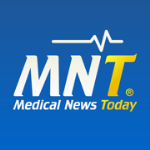 Cardiovascular disease treatments vary by condition. For instance, if one has a heart infection, he/she likely is given antibiotics. In general, treatment for heart diseases commonly includes: Lifestyle changes like doing exercise regularly, maintaining a proper diet chat, Medications, surgery or Medical procedures. The goals of treatment are to relieve symptoms, lower the risk of blood clots forming, bring down risk factors in an effort to slow, stop, or reverse the build-up of plaque. To Prevent Cardiovascular Disease complications we have to get updated with the treatments of cardiovascular diseases and to do so we will organise Cardiology Conferences every year worldwide. Many invasive tests and noninvasive can describe cardiac function and structure. Most, treatments can be administered during specific invasive diagnostic tests (eg, radiofrequency ablation during electrophysiologic testing, percutaneous coronary intervention during cardiac catheterization. All Cardiovascular Laboratory provides the following tests: venous ultrasound, stress echocardiograms, routine treadmill stress testing, dobutamine stress, cardiolite treadmill, dobutaminecardiolite, event recorders of whole body, adenosine cardiolite, echocardiograms, carotid ultrasound, arterial non-invasive testing, arterial ultrasound including arterial segmental pressures and doppler waveforms, holters monitors, TEEs and tilt table testing. Welcome to a preview of this coming year’s “International Conference of Cardiovascular Medicine” promising conference! Join us at Manchester on August 01 and August 02, 2016. Our venue offers a great location for our attendees to enjoy the conference. Our conference includes a well-balanced lineup of speakers, covering both broad and specific topics of interest. Our aims to provide cardiac physicians, specialists, nurses, technologists and anyone professionally involved in Cardiovascular Disease with an opportunity to learn about the complexity of the disease, discuss interventional procedures, look at new and advanced cardiac practices and their efficiency and efficacy in the treatment of various cases, and understand local realities and practical constraints in improving patient-care. 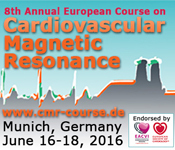 The Cardiovascular 2016 will be organized around the theme "Promising Dimensions on Cardiovascular Medicine". Cardiovascular 2016 is comprised of 14 tracks designed to offer comprehensive sessions that address current issues in Cardiovascular related affairs. ConferenceSeries Ltd 300+ conferences, 500+workshops and 200+symposiums on Clinical, Medicine, Pharma and Science & Technology. Cardiology events are every year across UK, Europe, Asia, Middle East, Australia and USA that support cardiology medical conferences from 1000 more scientific societies and Publishes 500 open access journals which contains over 30000 eminent personalities, reputed scientists as editorial board members. 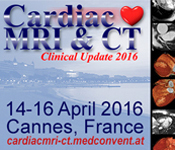 Cardiovascular Medicine Conference 2016 comes under Cardiology medical conferences. Cardiology conferences in 2015 has calculated that heart disease is the number one cause of death in the world and the leading cause of death in the United Kingdom. About 600,000 people die of heart disease in the United Kingdom every year- that’s one in every 4 deaths. More than half of the deaths due to heart disease in 2009 were in men. Over the past 10 years for which statistics are available, the death rate from heart disease has fallen about 39 percent but the burden and risk factors remain alarmingly high. Cardiovascular diseases would be the largest cause of death and disability in by 2020 as per a World Health Organization (WHO) report. International Conference on Cardiovascular Medicine is a unique forum to bring together worldwide distinguished academics in the field of cardiology, Cardiovascular researchers, public health professionals, scientists, academic scientists, industry researchers, scholars to exchange about state of the art research and technologies. International Conference on Cardiovascular Medicine is a unique forum to bring together worldwide distinguished academics in the field of cardiology, Cardiovascular researchers, public health professionals, scientists, academic scientists, industry researchers, scholars to exchange about state of the art research and technologies. Descriptions of various types of cardiovascular diagnostics such as in vitro tests and in vivo imaging techniques, devices such as drug eluting stents, and drugs such as Pfizers blockbuster Lipitor. The current market status of cardiovascular diagnostics, devices and drugs, along with trends and forecasts for growth over the next 5 years. Technological issues including the latest developments and a thorough patent analysis. Analysis of the cardiovascular diagnostics, devices and drugs industry, both from a market and application perspective. Information about the major players in each market, including Medtronic and Boston Scientific in devices, Sanofi-Aventis and BMS in drugs, and Abbott in devices. Aim of this conference is to stimulate new ideas for treatment and analyse the current market for the future direction of cardiovascular drugs, devices, and diagnostics, with an emphasis on newer products that will be beneficial across the spectrum of Cardiovascular Medicine. Conferences, National symposiums and Workshops provide a dedicated forum for the advancement, execution and exchange of information about Cardio Vascular Medicine and its allied areas. The global cardiovascular device industry is growing rapidly and exhibits signs that it will continue to evolve and expand to reach over $97 billion by 2015, up from nearly $85 billion in 2010 according to a study from BCC Research.